Enter the world of fairy tales in this stunning illustrated gift book that includes more than thirty-five beloved stories and rhymes retold by #1 New York Times bestselling author Chris Colfer. This gorgeous, full-color companion book to the Land of Stories series will appeal to new and old fans alike, who will delight in favorite classics such as “Cinderella,” “Sleeping Beauty,” “Little Red Riding Hood,” “Jack and the Beanstalk,” and more. 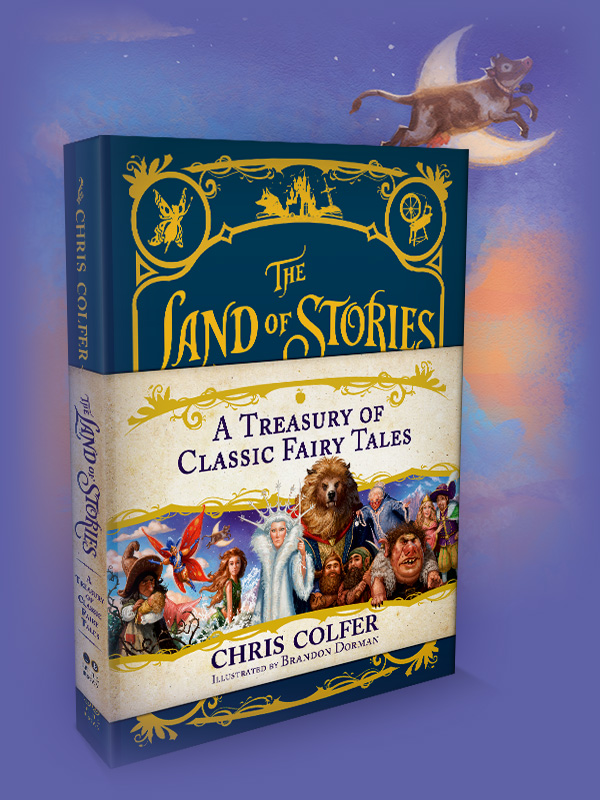 Here is the beloved fairy-tale treasury that Alex and Conner fall into in The Land of Stories: The Wishing Spell – a beautifully designed addition to the series, and the magical book that started it all!